Tree lined street & newly refinished redwood siding. Previously owner occupied, this 2 flat has great opportunity to make a single family home! Both units feature gleaming hardwood floors with separate central heat & a/c (2012), HWH (6 years), electric, new overhead plumbing & ejector pump. Enjoy separate laundry facilities! Unit 1 in the basement & Unit 2 on the 3rd floor. The 1st-floor Unit #1 features a separate entrance, basement laundry, front family room, 1 bedroom + full bath. The large dine-in kitchen overlooks a lush backyard. Pella windows bring in natural light. 2nd-floor Unit #2 boasts new appliances, electric blinds & butcher block island. Newly painted cabinets & backsplash compliment the large dine-in atrium style kitchen. You'll also find a grand front room, 4 bedrooms +2 full baths. Enjoy a large backyard & 1 car parking pad. In the Blaine district. 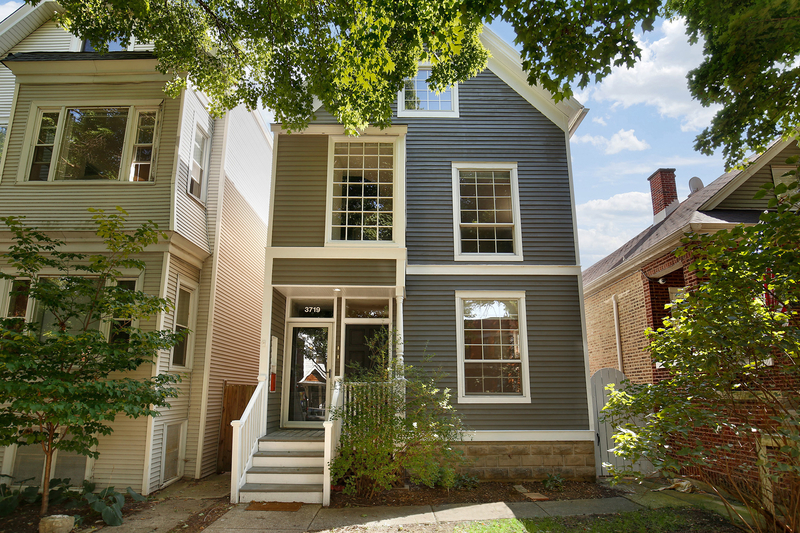 Close to spectacular Southport Corridor, Merryman Park, Wrigley Field, & Whole Foods! Property information last modified by seller on Thursday, November 01, 2018, 03:46 PM CDT. Information Deemed Reliable But Not Guaranteed. Unauthorized duplication, use, or linkage is prohibited. The information on this web site is for personal, non-commercial use and may not be used for any purpose other than to identify prospective properties consumers may be interested in purchasing. Monthly Payment Calculator results are for illustrative purposes only, not a financing opportunity; calculations assume a 30-year fixed-rate mortgage and do not include closing and other costs. Property Tax on NEW properties is estimated at 1.5% of Listing Price for payment calculation purposes; actual value may be higher or lower.